2 YRS Shandong Go On Trade Co., Ltd.
1 YRS Shanghai Yansheng Shoes Co., Ltd.
2 YRS Zhejiang Zhongmai Safety Technology Co., Ltd.
2 YRS Changzhou Funta Intelligent Technology Co., Ltd.
2 YRS Shandong Guardian Safety Product Co., Ltd.
Can you produce according to the samples9 Yes,we provide customization. What are your advantages9 We keep high quality and competitive price to ensure our customers. We provide instant and the most high-quality after-sales service, and keep good relationships with our customers. 2. OEM orders welcomed, we can also design according to your request. the samples will be sent out within 10~20 days after receiving your requirements. 4. Price quotation :negotiation is based on the model, Big discount for big orders. 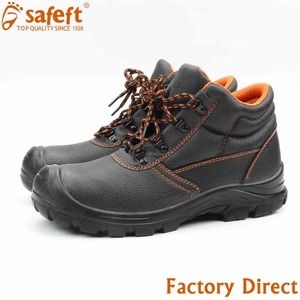 9 YRS Shanghai Langfeng Shoes Co., Ltd.
2 YRS Shandong Sinorient Shoes Co., Ltd.
9 YRS Gaomi Long Fei Shoes Co., Ltd.
2018 new acid resistant safety shoes : 1. Materials: 3D flying woven fabric upper, PVC dual density sole. 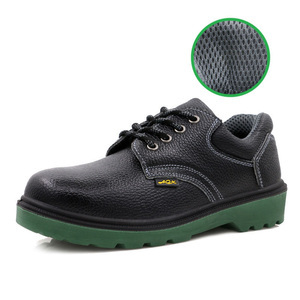 10. safety shoes picture: Detailed Images : Harbin Ana Safety Products Mfg., Co., Ltd. is established in 2007. Now we have two sets of big injection machines, eight pairs of moulds per machine. 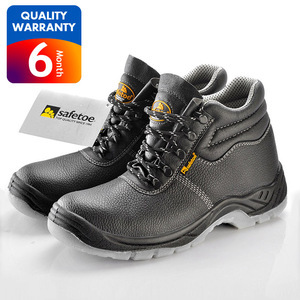 Oil and acid resistant shoes, work shoes, safety footwear Steel toe cap, steel plate midsole, anti static, water proof, oil resistant, anti slip, shock resistant. Upper:Action leather Lining: mesh fabric Sole: PU Certificate: CE, EN20345 Standard: S3 (SB, SBP, S1, S1P, S2, S3) Logo: OEM service, print your own logo on the shoes The materials(upper leather, lining, sole), functions, colors can be made specially according to your requirements. 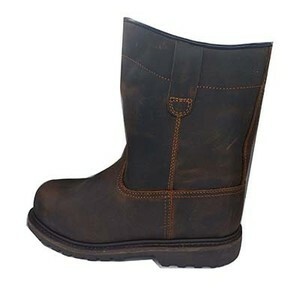 Standard Properties SB Basic safety requirements of EN 20345 standard S1 SB+ Oil and fuels resistant+ antistatic + energy absorption S1P S1+ Penetration resistance S2 S1+Water penetration and water absorption S3 S2 + Penetration Resistance + tread pattern "Customer First,Quality First"
3 YRS Shandong Hong Gu Shoes Industrial Co., Ltd.
4 YRS Shandong Sinorient Shoes Co., Ltd.
1 YRS Gaomi Durable PPE Co., Ltd.
4 YRS Ruian Gentle Import&Export Trading Co., Ltd.
1 YRS Gaomi Longhong Trading Co., Ltd.
Alibaba.com offers 6,049 acids shoes products. About 55% of these are safety shoes, 1% are sports shoes, and 1% are men's sports shoes. 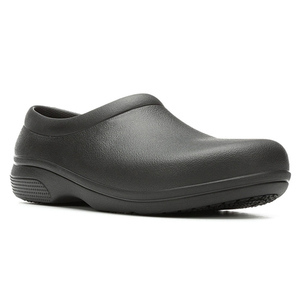 A wide variety of acids shoes options are available to you, such as polyester / cotton, rubber. You can also choose from free samples, paid samples. 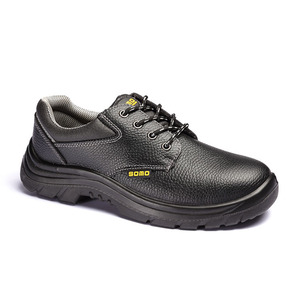 There are 6,049 acids shoes suppliers, mainly located in Asia. 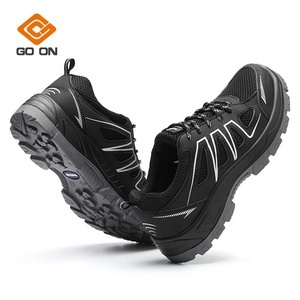 The top supplying country is China (Mainland), which supply 100% of acids shoes respectively. 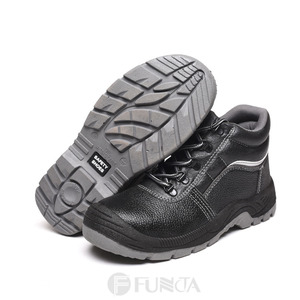 Acids shoes products are most popular in North America, Southeast Asia, and Africa. You can ensure product safety by selecting from certified suppliers, including 2,562 with ISO9001, 1,210 with Other, and 324 with ISO22000 certification.